Lois T. Massie, 88, of Waynesboro, went to be with the Lord on Sunday, January 13, 2019. She was born on March 6, 1930 to the late Garnett and Hester Thurston. 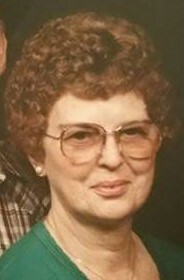 In addition to her parents she was preceded in death by her husband of 69 years, Steve J. Massie, Sr.; sister, Edna Dodd; brothers, Clifton “Jimmy” Thurston and Gordon Thurston. She retired in 1985 from Dupont with 39 years of service, a member of Second Presbyterian Church and was a resident of Waynesboro Manor. She is survived by her son, Steve J. Massie, Jr. and a daughter, Deloris Jean Massie; eight grandchildren; thirteen great grandchildren; cousin, Martha Mawyer; niece, Ginny Cubbage of Oregon; nephew, Jimmy Dodd of California and numerous other family and friends. The family will receive friends from 6:00pm to 8:00pm on Monday, January 21, 2019 at Charlton and Groome Funeral Home, 619 Lifecore Drive, Fishersville, VA 22939 and where a funeral service will be held 1:00pm Tuesday, January 22, 2019 in the chapel. In lieu of flowers memorial contributions may be made to Second Presbyterian Church.